1. We, human beings actually pay money to scare the hell out of ourselves. We seek the thrills of terrifying roller-coasters and horror movies and mistake them as the highs of True Happiness. 2. We fall in love madly with total strangers, even movie stars, and forget that those around us who we think we knew too tiresomely well are the ones who are willing to lay their lives for us out of love. Yes, I’m referring to the true boundless love of parents that goes beyond most love. We might pay to see our idols perform without hesitation while having second thoughts about giving more allowance to our parents for their well being. 3. We eat hot, exotic spicy food and turn our stomachs inside out with fire, sweat like mad as we pant and pant and feel that was “real good!” While this happens, the yearning for the coolness of peace of mind or Nirvana has no place in one’s mind! The food is too good to be true-at that moment “superior” to Nirvana! We often would rather go for such a meal than meditate or be at peace! 4. The idea of a terrific good time can be drinking till dead-drunk and vomiting all over the place despite the inevitability of a horrible hellish hangover the next morning. 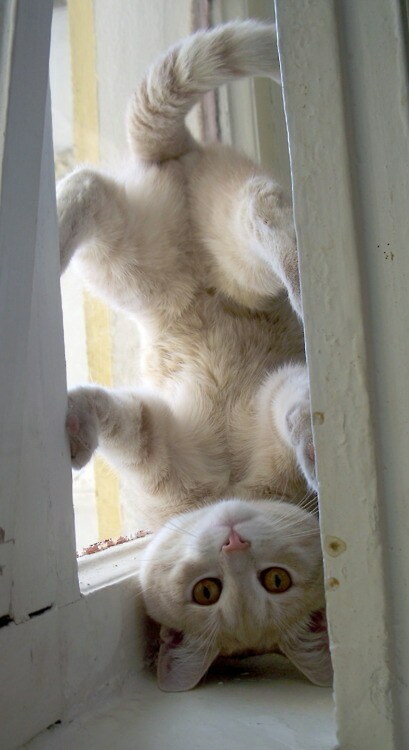 There are countless absurd “upside downs” in us all. The nature of the Buddha isn’t very different from us in the sense that He is simply one with “the right side up,” the way He should be. He is down to earth and grounded in reality, and reacts with sensibility to it while teaching righteously to help us “get on our feet!” The process of cultivation is thus the “reversing of our reversed natures” to its true upright nature! We are just Buddhas waiting to be flipped over! We are ordinary sentient beings or enlightened beings depending on how you look at it. Two sides of a coin! Are you “turning over” yet? Over a new leaf.